Died on 4th June 1919 from wounds and gas poisoning, having served for 3 years 283 days, 25 years old. 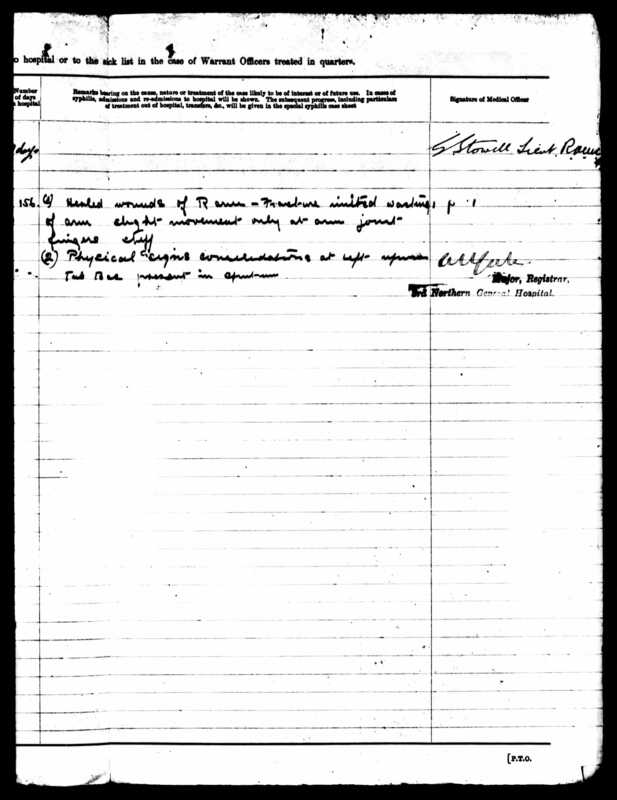 Joseph William Wainwright was born in the March quarter of 1894, registered in Ellesmere Shropshire (Volume: 6a, Page: 692). He was the eldest son of Nathan & Eliza Wainwright (nee Peat), who were married in St. Mary’s Church, Overton on the 6th July 1893. 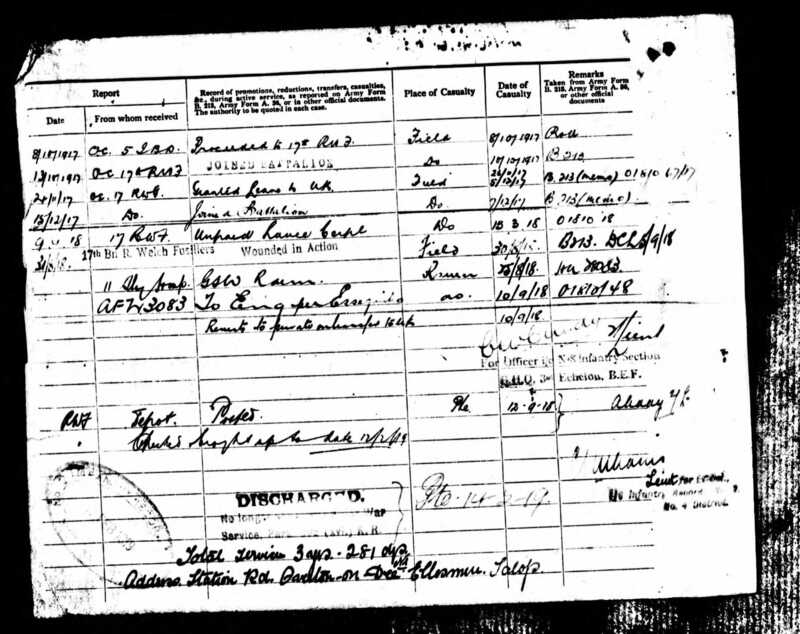 Nathan’s father was James Wainwright, also a Labourer and Eliza’a father was William Peat. 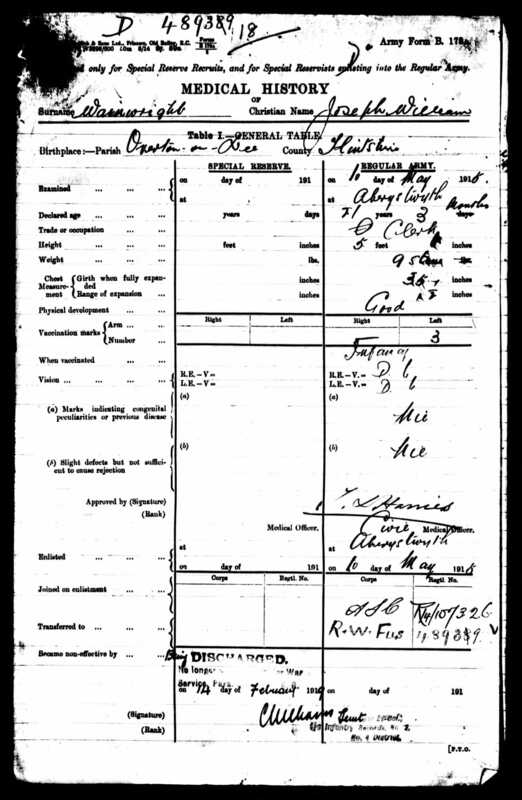 Joseph Wm., 7, appears for the first time on the 1901 census living at Overton, Flintshire with his parents, Nathan, 31 a Gardener, his wife Eliza A., was 39 and had been born in Hanmer, Flintshire. Josephn Wm., 7, James, 5 and a day old baby boy, un-named, I think had all been born in Overton, as was Nathan. Eliza’s sister Annie Peate was a visitor, 23 and a House Maid, she’s been born in Malpas, Cheshire. By 1911 the family were living at Lightwood, Overton, Ellesmere, Salop in 4 rooms. Nathan, 41, a Woodman, was head of the household with his wife Eliza Ann, 40 telling us that they had been married for 18 years and 4 children had been born to them, but sadly 2 had died. 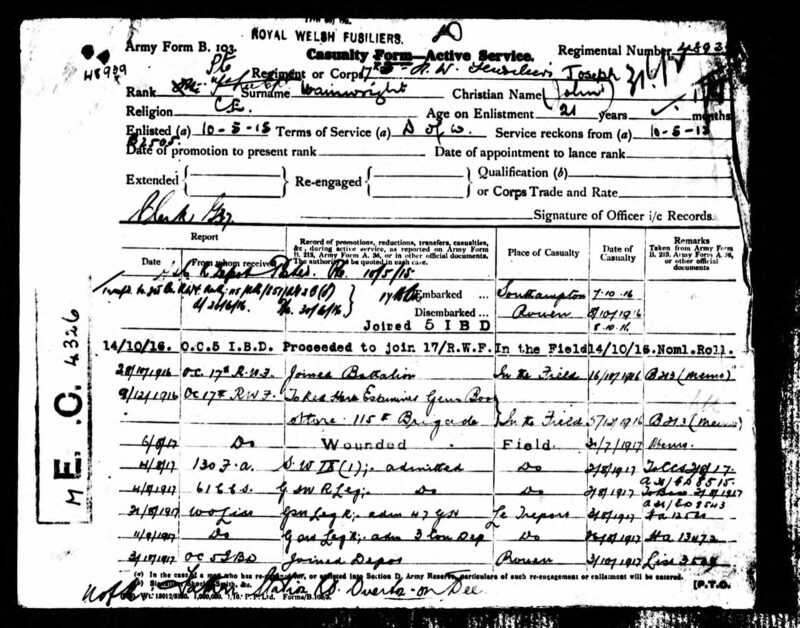 Joseph William, now 17 and single and his brother, James, 15 were both Clerks at the Railway Office. 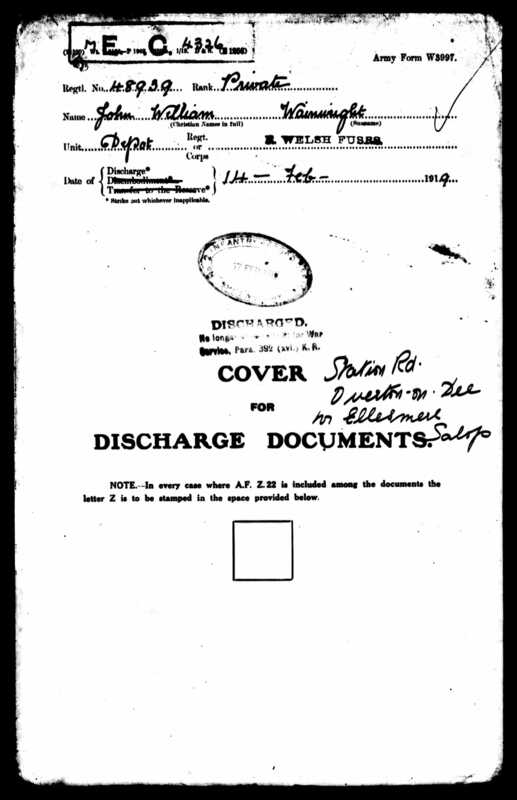 I was able to find his Discharge Papers by chance, as he was on those as John William Wainwright, everything else matches i.e. Regimental number etc. Joseph William Wainwright enlisted in the Army on the 10th May 1915 at Aberystwyth, described as 21 years and 3 months of age, 5 feet 6 inches, 95lbs in weight and his chest measurement was 35 inches with a range of 1 and ½ inches His physical development was described as “Good.” I cannot find his Attestation Papers, but it was on his Casualty Form that I found the name “John” in brackets and the Casualty Form is a few pages long, please see the pages below. 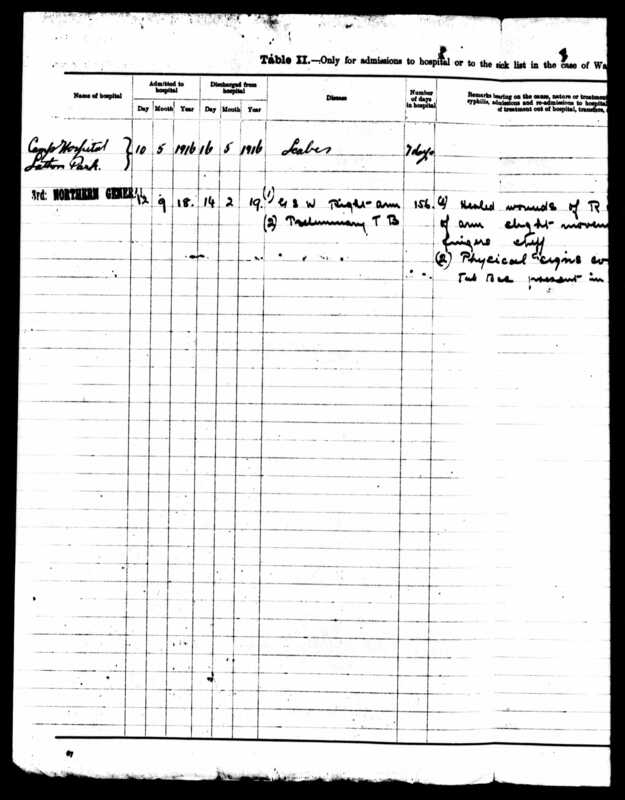 It seems that he was to suffer greatly, first having Scabies in 1916 being in hospital for 7 days, then a Gun Shot Wound in his right leg in 1917 and then Gun Shot Wound in 1918. 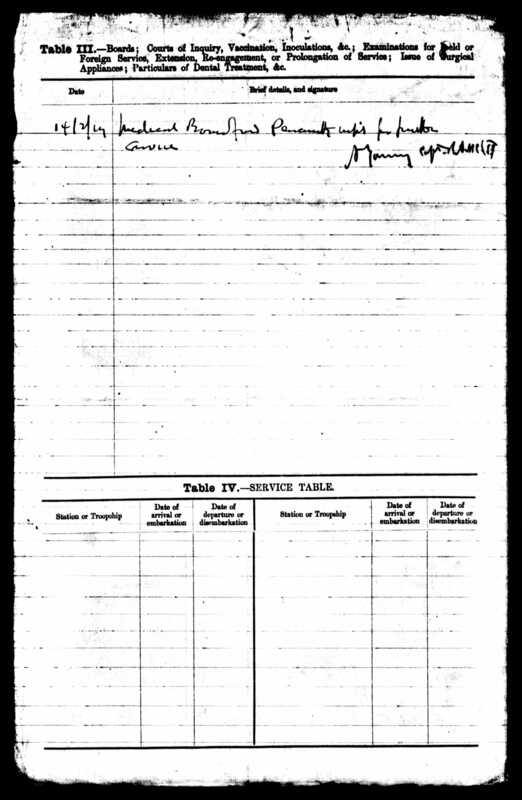 He was finally diagnosed with Pulmonary Tuberculosis in 1919 and discharged on the 14th February 1919, his service was 3 years 281 days, slightly out with the period of service that his brother James wrote on the Flintshire WW1 Index Card (Overton F 25) for Joseph William and gives his address as Lightwood Green, Overton 48939 17th R.W.F. Cpl. Period of Service 3 years 283 days. Died 4th June 1919 from wounds & Gas Poisoning. Card signed by E (or J.) WAINWRIGHT (brother) on the 25th September 1919. The Casualty form gave his address as Station Road, Overton-on-Dee. He was only to survive a few months before he succumbed to his illness of Consumption, but I find it odd that he is not on the Commonwealth War Graves Commission Database and I have written to them to see if he can be “Brought in from the Cold,” as they call it when soldiers are added after the war as long as there is proof he died of his war service, and his date of death is before the cut-off date of 31st August 1921. I have found his burial in St. Mary’s Churchyard on the 17th June 1919 age 25 years. His address was given as Lightwood Green, Overton. If anyone has anything that can be added to Joseph William’s story please contact the website, it will be gratefully received.